Located on Grand Cayman Islands famous Seven Mile Beach is the Cayman Reef Resort Residential Suite # 35. The condo is just a few steps away from the beach. Beautiful views of the Caribbean Sea are waiting for you from the enclosed patio. 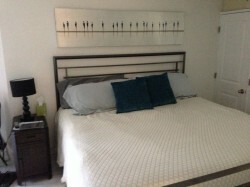 This one bedroom condo has a king sized bed. Inside you will find the modern conveniences of a modern home. High speed Wifi Internet and flat screen cable TV are at your disposal. You need not look further for a relaxing vacation on one of the Caribbean’s finest beaches. Perfect for a couple’s romantic getaway for a week or a few months, you can go for a dip in the relaxing warm water of the Caribbean Sea or a leisurely stroll down the beautiful quiet white sandy seven mile beach. Come enjoy the tranquility and safety of the Cayman Islands. Shopping centers are across the road as are many world-­class restaurants within walking distance. Once you experience the Cayman Islands you will find that your heart will call you back for another peaceful, enjoyable Caribbean Island vacation. 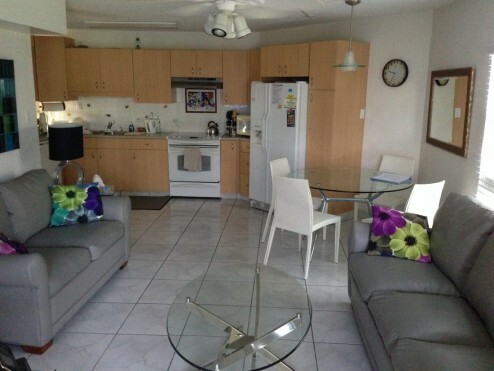 Condo # 35 is the place for you to experience this Caribbean paradise.